Eligibility for membership in this Society is based upon lineal descent from one or more Kings. The Society includes the descendants of all the Royal Houses, both medieval and modern. (3) To assist in the publication and preservation of pedigrees showing Royal Descent as a principal aim of the Society is to collate the lines of descent of those colonial emigrants who were of royal lineage and who are now represented by men and women seeking to honor the names and noble example of their ancestors by preserving their pedigrees: a matter always carefully looked after and transmitted by English gentlemen as well as by people of refinement of other nationalities. (a) The official colors of the Society shall be blue, red and white, displaying lengthwise on the ribbon, and appearing elsewhere on the insignia as may be deemed appropriate. 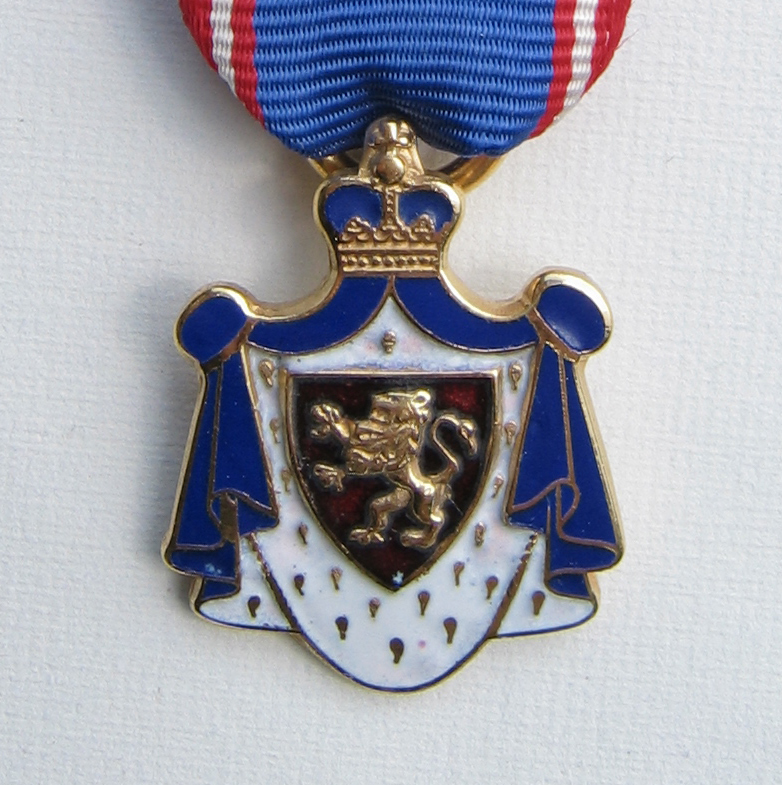 (b) The official insignia shall consist of a formal emblem, displaying an outspread Royal mantle ermine-lined, surmounted by a crown, and surrounding a shield on which is displayed a lion rampant GULES, all pendant from the Society's ribbon. (d) The motto of this Society shall be "Atavis Edite Regibus".